What is Viva PHOTO BOOTH all about? & How do you handle events? We believe in Integrity, Quality & Vision. We put forth the highest of standards because we know this is the only way to exceed expectations, to go above and beyond, to break through and create a long lasting impression. 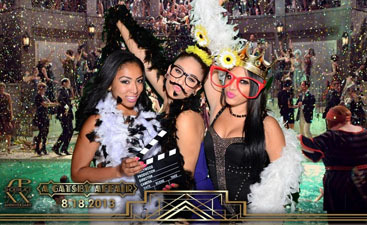 We are a fan of WOWS when it comes to our photo booths for rent and every service we provide. How many people can your photo booth accommodate? Our photo booth can accommodate up to 15 people in one picture. This makes them a great photo booth for weddings, corporate events, and even birthday parties. Our photo booth fits perfectly in a 10x10ft area. The backdrop is 90″ high and 120″ wide. What kind of branding options do you offer? Viva PHOTO BOOTH has several options for branding and corporate sponsors. BRANDED Photo Booth. Your logo or favorite picture on all panels (4). Photo branding and custom green screen and or custom backdrop options. Fully customizable integration of your brand, artwork or messaging within your photos, including overlays with transparency and custom page backgrounds. Facebook Integration with Viva PHOTO BOOTH, you can automatically post your event’s photos directly to your Facebook profile or page – in real time or as a batch process at another time. Your own custom online web page gallery of your event with full advertising and branding options including social media sharing options like Facebook, Google Plus, and YouTube. What is a Green Screen Background? Chroma key compositing, or chroma keying, is a special effects / post-production technique for compositing (layering) two images or video streams together based on color hues (chroma range). The technique has been used heavily in many fields to remove a background from the subject of a photo or video – particularly the newscasting, motion picture and video game industries. Top panel: A frame of Eric in full-motion as shot with a green screen background. Personalize your photos with our high-resolution green screen backgrounds. Or have our design team create a unique custom green screen background for your event. What does Viva PHOTO BOOTH look like? We can’t preach WOWS without looking good. Viva PHOTO BOOTH for parties is constructed with high-quality professional camera gear, a custom green screen backdrop, a printing station and an HD real-time slide show photo display, for guest enjoyment. Everything tailored to be an attractive element for your event. Far. If you really want us then we will make it happen! We are located in Henderson Nevada and service Henderson, Las Vegas proper, Summerlin, North Las Vegas and Boulder City. However, we do love to travel and we believe in no boundaries. Our photo booth is available for rent wherever you are! How many hours can I hire Viva PHOTO BOOTH for? Do you use a green screen? Yes, we use the highest quality chroma-key techniques. Can I submit my own logo, artwork or custom green screen background? Yes, we encourage custom artwork, logos, and custom green screen backgrounds. A small fee will apply for installing the artwork, testing and integrating the artwork with Viva PHOTO BOOTH for quality assurance. What can we expect in the way of props? We don’t just bring props, we bring the highest quality props. Perhaps you have a special prop request? We love getting creative, please let us know. This can be a great way to customize the photo booth experience for your wedding! Viva PHOTO BOOTH will provide a print for each photo taken. Repeat the process for as many photographs as you like! Is there a cost for prints at the event? Viva PHOTO BOOTH Packages include prints, however if a guest wants prints beyond what the package includes they are able to purchase extra prints and/or available upgrades. Ex: 2×6 print to 4×6, etc. Credit cards accepted. How does digital upload and sharing work? 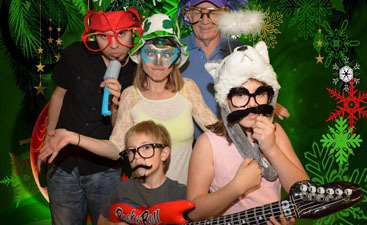 Viva PHOTO BOOTH allows photos to be delivered & posted typically withing seconds after the photo is taken. Can Viva PHOTO BOOTH be used to drive traffic to my website, facebook page, and or other forms of social media? Yes, with our custom gallery web page options your guests will be happy to share your event pictures and click on your link to check out your website. In addition, our Facebook real time posting can be used to drive traffic to your facebook page and/or profile. How do I reserve with VivaPHOTOBOOTH? Visit our Reservations form page.